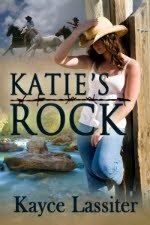 Happily Ever After Thoughts: COWBOY'S BREAK Released in the Hell Yeah! Kindle World! 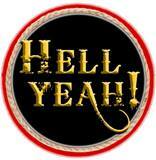 COWBOY'S BREAK Released in the Hell Yeah! Kindle World! Available on Amazon as part of the Hell Yeah! Kindle World. Cowboy and former detective Vance Gallagher never thought he’d have a second chance to convince Rachel Henderson they were meant to be together, nor did he think he’d want to. 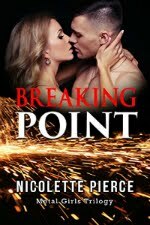 Now, after seven years, thanks to his old police academy friend, Vance is knee deep in numbers and computers, determined to save Rachel’s ranch and his own heart. Rachel hadn’t expected to see Vance again…ever. In fact, she planned on it. Saying goodbye to him had been the hardest thing she’d ever done, but she couldn’t handle her sister, the ranch, and his job as an undercover detective all at the same time. Now she’s with him every day and buried feelings just won’t go away. The closer Vance gets to solving the mystery of the missing money, the more convinced he becomes that Rachel is the one for him. But when prize animals start disappearing, he has to choose between revealing the culprit and keeping the woman he’s always loved from harm. He just can’t catch a break. Vance’s heart lurched as he gazed into Rachel’s blue eyes for a second, her face unchanged over the years except for a darker tan. Then she walked away from him…again. Her hips swayed and her pale blonde braid swished right and left with her gait. His gut twisted. Was she married now? Did she have a husband and children who helped her with Yellowwood? Was the man of her heart easier to “handle” than him? Anger rushed over him and he gritted his teeth. Finally, he turned to look at Hunter, who stood studying him. Damn, he hoped the investigation wasn’t about Rachel’s husband cheating on her. His hands fisted of their own accord. “So are you going to give an old friend a welcome or just stand there like a statute all day?” Hunter’s lip quirked up at the corner. “I hadn’t planned on that. So you know Rachel?” Hunter motioned to the empty seat across from him and sat. “Yes.” Vance slid into the booth. Ten other books available in the Hell Yeah! Kindle World. Check them out!